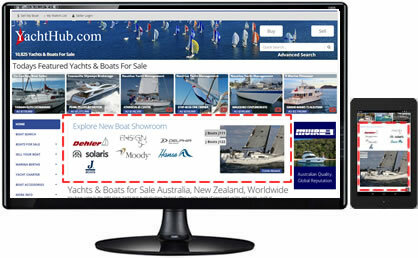 YachtHub.com is Australia's best referenced boat sales website. 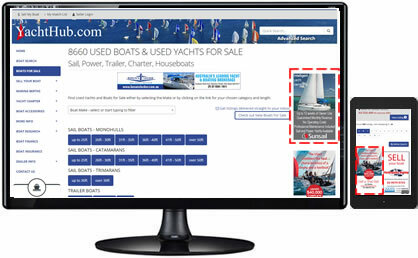 Our website is ideally positioned to promote your product, service or business to a highly targeted market. To book your advertising, contact us on 08 6262 3929 or email us. 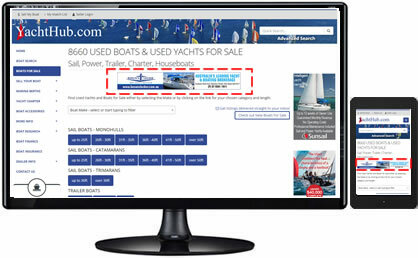 Please supply your advert in jpg, gif or animated gif. Advert design service available, at additional cost. 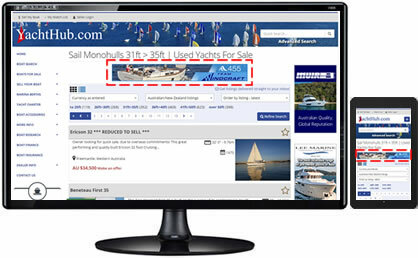 After potential buyers have viewed specific listings or pages, anytime in the last 90 days, either on Boatsonline or YachtHub, they are re-targeted and see your Business advertisements within Facebook, Instagram and other publishers including news and entertainment websites. This is the most cost effective way to reach your target market. 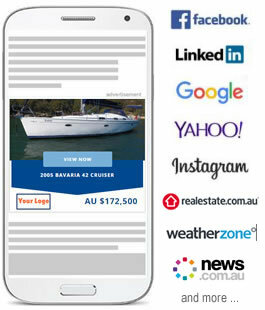 Call (08) 6262 3929 or email admin@yachthub.com.